Fascinating time-lapse video of Ginkgo seedlings in their first year, from seeds to bare seedlings in winter. Video by Lumea Paleo on YouTube. 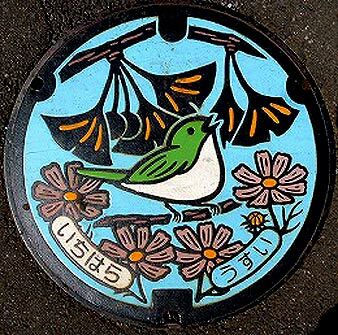 Just about anywhere in Japan you can find stylized manhole covers. 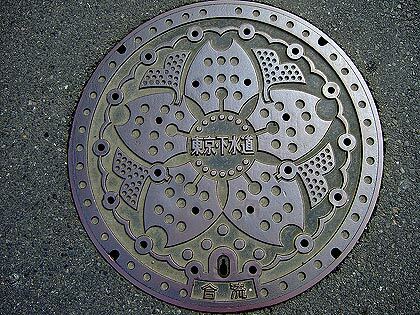 According to the Japan Society of Manhole Covers there are almost 6000 artistic manhole covers. 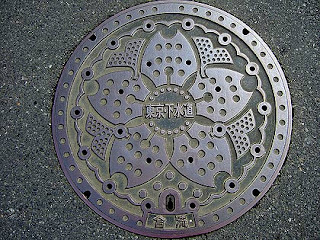 Below two manholes with Ginkgo leaves. * New photo on Photospecial page: Fallen Ginkgo leaves. * New topic: The Ginkgo Pages Forum/Blog in 2015. Jill Hubley created an interesting interactive map of the 52 species of street trees - including Ginkgo trees - in New York City. by using the tooltips and zoom function to identify particular trees, or by using the filter option to see the distribution of each species. You can also use the option of disabling the base map for a starker, more abstract view. More info on Jill Hubley's blog.